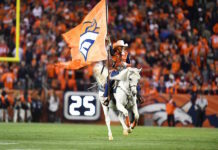 2018 Season Review: Should Denver Broncos retain Bradley Roby or let him go? It wasn’t long ago that Broncos cornerback Bradley Roby was viewed as one of the more exciting, young, up-and-comers at cornerback in the NFL. The general consensus was that the Broncos had three starting-quality cornerbacks with Chris Harris Jr., Aqib Talib and Roby, which is why the “No-Fly Zone” was so effective. It was this belief that led John Elway to move on from Talib before the 2018 season and promote Roby. In his first opportunity as a starter, it was hoped Roby would become the lockdown corner Broncos fans had seen glimpses of since being drafted in 2014. 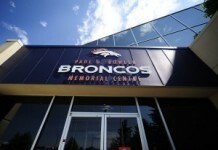 However, he did not match expectations, and with his contract expiring this season the Broncos will be faced with a tough decision. 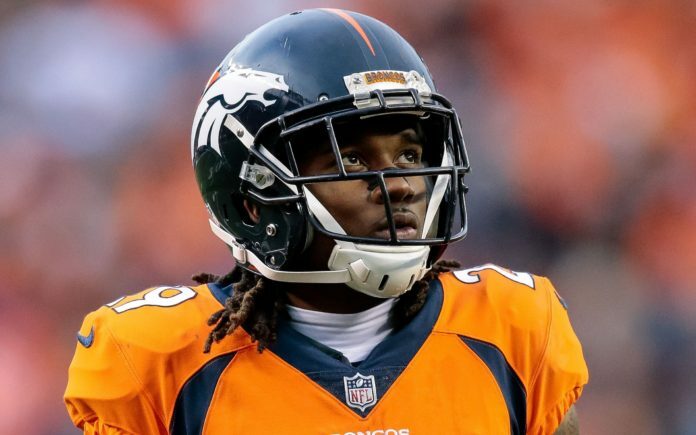 Do the Broncos re-sign Roby? He disappointed in his only season as a starter, and will likely demand more money than a No. 3 cornerback on the depth chart deserves. On the other hand, Roby has tons of potential and it’s possible the coaching staff and scheme were partly to blame for his failure in 2018. If Denver does decide to let Roby walk though, where can they turn to patch a secondary already riddled with holes? With Tramaine Brock likely on the way out as well, the Broncos are going to have to add multiple cornerbacks this offseason, either through free agency or the draft. In free agency, the Broncos could easily find a veteran number two cornerback who could plug-and-play while Brendan Langley, Isaac Yiadom or a 2019 draft pick develops. A few of the names that could pique the Broncos’ interest are Ronald Darby, Bryce Callahan and Jason Verrett. Darby and Verrett are the most talented of the potential free agent corners when they’re at their best, but neither has been able to stay on the field. Verrett played in only six games his rookie season because he was rehabbing multiple tears in his left shoulder. Then, after a marvelous 2015 season that earned him a Pro Bowl nod, he tore his ACL in the fourth game of 2016, ending his season. In 2017, Verrett appeared to be on the mend, but partway through the Chargers’ Week 1 game at Denver his knee started to act up which once again landed him on IR and ended his season. In 2018, he was sidelined before the season could start after tearing his achilles in training camp. Darby’s injury history is nowhere near that concerning, but his torn ACL suffered in Week 10 last year should raise the eyebrows of a few teams. The Broncos would be taking a big swing on either Darby or Verrett, but if it works out the “No-Fly Zone” would return muchsooner than expected. If Darby and Verrett are like going all-in on black, then Bryce Callahan is like investing in Apple. Callahan seems like a dream fit for the Broncos. 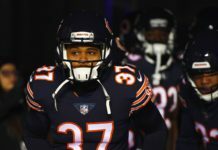 He’s young, has steadily improved every year of his career, has a minor injury history, and most importantly he’s been successful in Vic Fangio‘s scheme. The one concern around Callahan would be his potential fit with Harris, as both are naturally slot corners. If this year’s free agent crop isn’t Denver’s cup of tea they could instead invest in the secondary through the draft. At the tenth pick, the Broncos could take Greedy Williams, the No. 1 cornerback in this year’s draft. Williams would be a perfect scheme fit for Denver; he possesses excellent size, length and instincts that can’t be taught, as well as being the best man coverage corner in the draft. When watching him, one can’t help but think of Richard Sherman. Other cornerbacks like Rock Ya-sin and Julian Love, possibly even Trayvon Mullen could be steals at the top of the second round if the Broncos decided to take a quarterback with the tenth pick. The Broncos should sign Callahan in free agency or re-sign Roby and then supplement the secondary with a high draft pick. Callahan is a better player than Roby, but if he’s too expensive it would make more sense for the Broncos to keep Roby, who could realize his star potential in Fangio’s scheme. If the Broncos get Callahan, then there’s less pressure to invest high in the draft, but they still should as Harris is nearing the end of his career. If Williams is available at the tenth pick, and he should be, that should be the Broncos’ selection. Greedy Williams may never reach the elite status of Richard Sherman but is far more likely to be a high-end starter in the league for five-plus years than any of this year’s quarterbacks. In a perfect world, the Broncos could have Roby and Williams locking down the outside with Harris maintaining his dominance between the hashes for years to come.